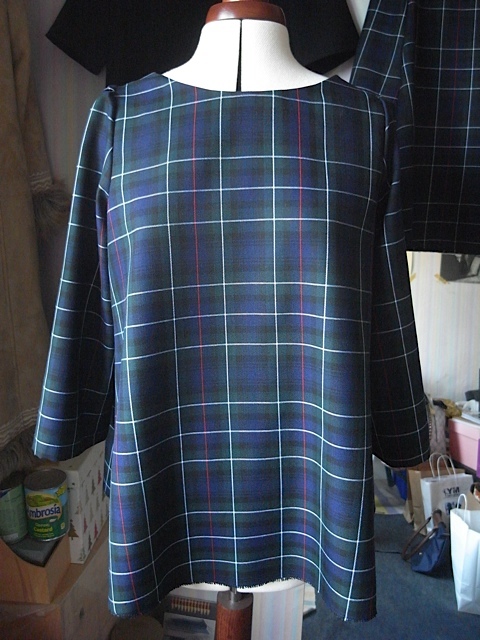 I didn’t properly blog about the first tartan Trapeze top, so I’ll make up for it by blogging about the second. Just ever so slightly off. 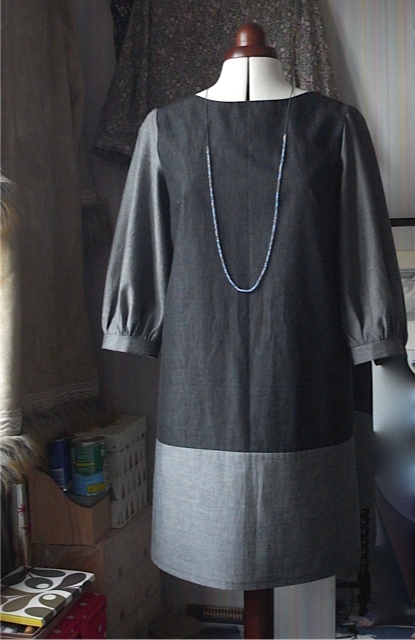 Now I am not always a perfectionist when it comes to my sewing, but I did contemplate unpicking and doing it again ( I know some people out there would not be able to tolerate this at all ). However I looked at the fabric and the stitches and well I just had a feeling that the fabric wouldn’t stand up to the unpicking. It does have a tendency to fray. So I left it as it was. All I can say is thank goodness I can’t see it when I’m wearing it. I will say that the first one was a bit better at the back as it matched at the bottom, but went off kilter half way up, which was weird. The sides didn’t fair much better either. So close with this side! 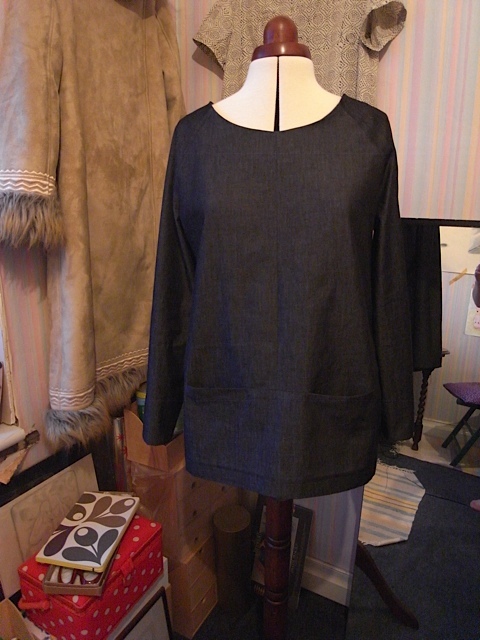 However they do look much better once the sleeves are attached. I have at least got the red stripe running down the centre of the sleeve, on both sides too. 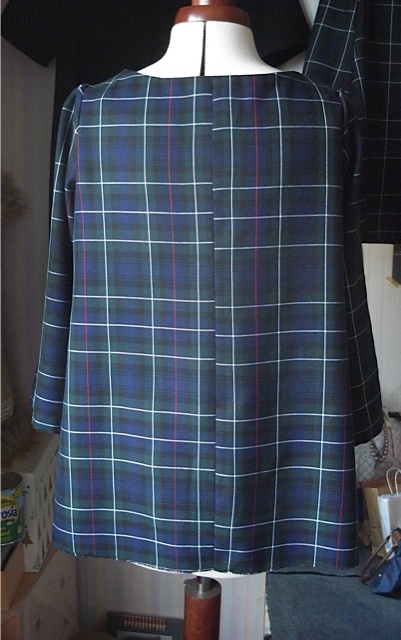 When its on the stripes look pretty good running across the sleeves and the bodice, so I’m quite happy with that. 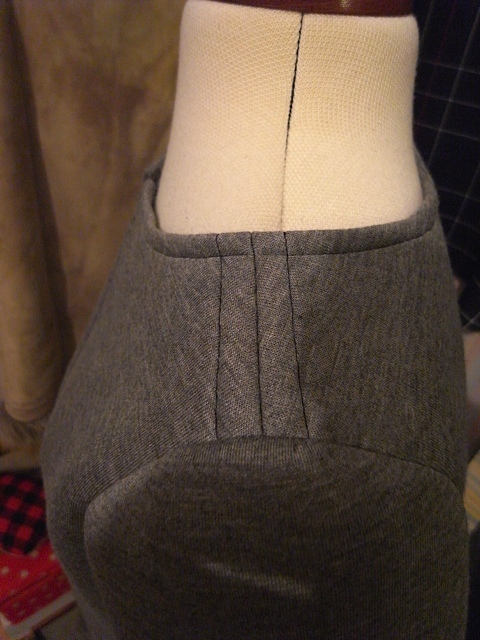 I zigzagged the bottom rather than do a hem, as its not so easy on this shape. And luckily it seems to work really well. 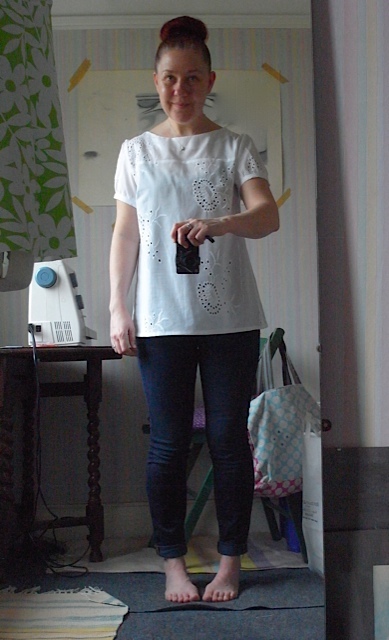 So all in all, I’m very happy with this top. Its my first make of the New Year, so off to a good start. I’d like to share with you the lovely goodies that I got for Christmas. First up is this gorgeous M&M mug, which I’ve wanted for so long now. 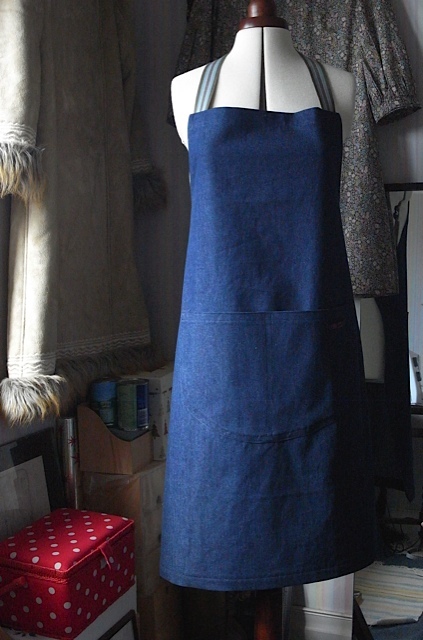 Not that I think I’m an actual Seamstress, but its nice to dream. As you can see its sitting on top of the M&M Workbook. And as others have said it is a beautiful book full of beautiful clothes. 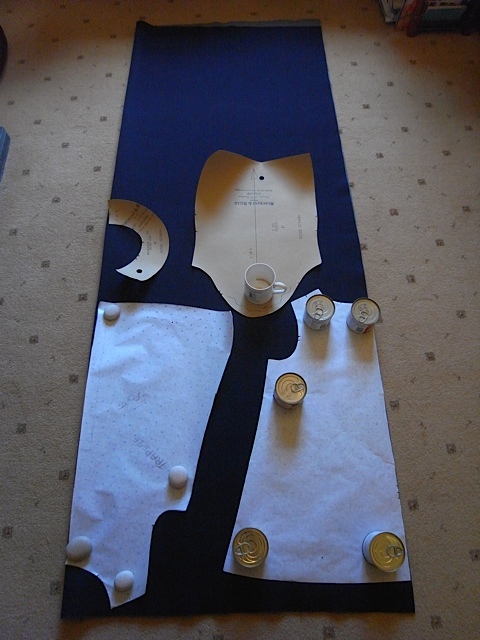 Now whilst I might not be capable of making all of them yet, I definitely have my eye on some of the projects. Watch this space. A friend bought me some items from there too. I just love the packaging. 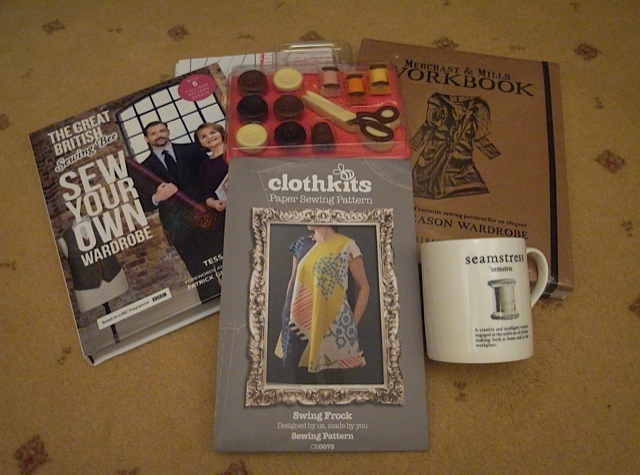 I was very surprised to receive the second Great British Sewing Bee book. This is my fave series so far. Some great looking projects inside too. 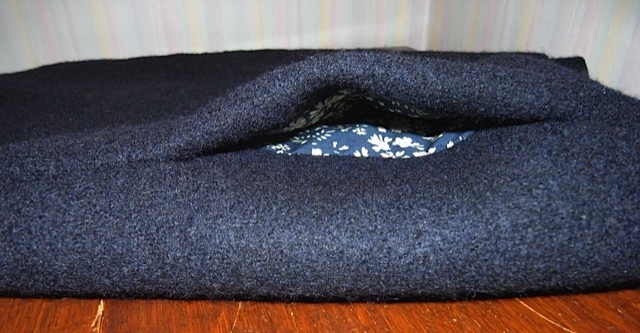 And very excited to have the Clothkits pattern. Can’t wait to give that a go, however I suspect it won’t be as easy as it looks. Lots of new and exciting things for me to try, I wonder how many I will complete. 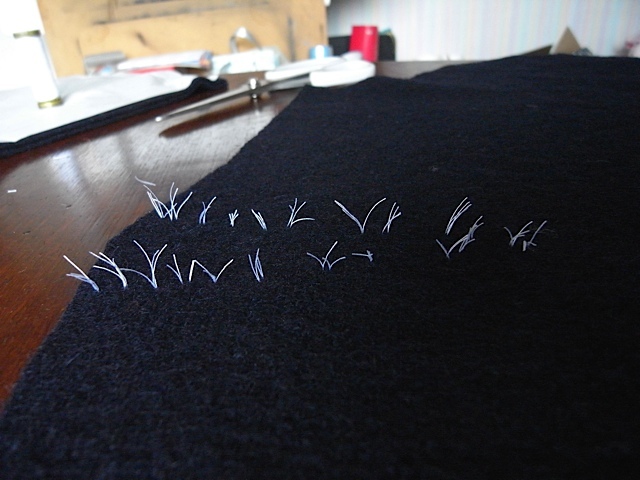 I must try and do new things this year and not to make too many multiples of one pattern. Yeah right! 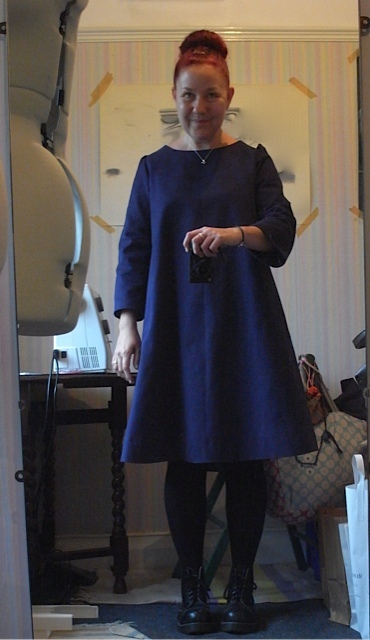 My very favourite thing about 2015 was that I learnt to do sleeves. Yep thats right sleeves. 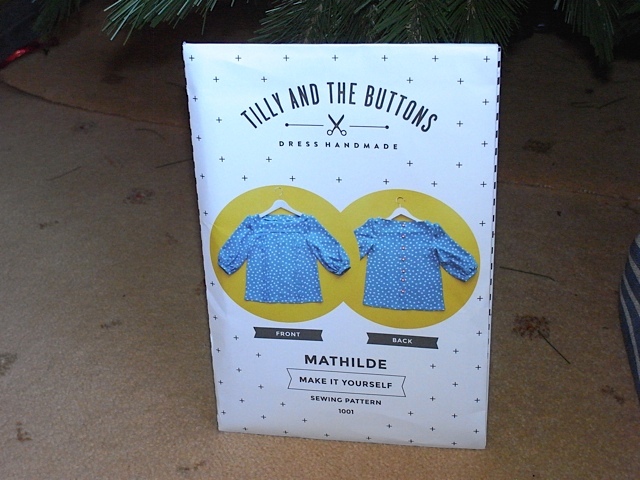 A dear friend bought me the Mathilde pattern by Tilly and the buttons. 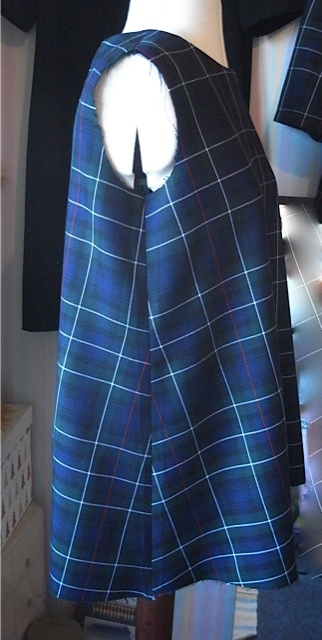 And I have since made 22 variations of it, having adapted it to suit me and even turned it into a dress. Here’s a few examples in case you’ve forgotten. Made it a little longer. 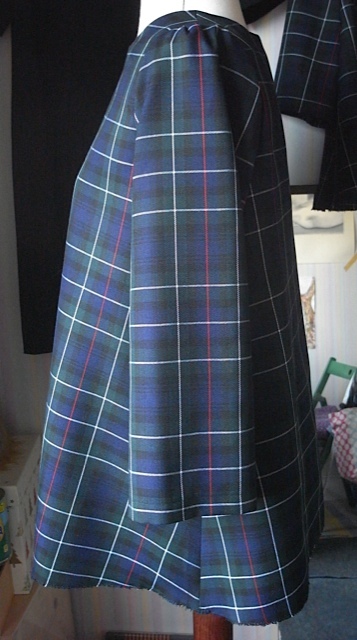 Turned it into a dress. made it with short sleeves. 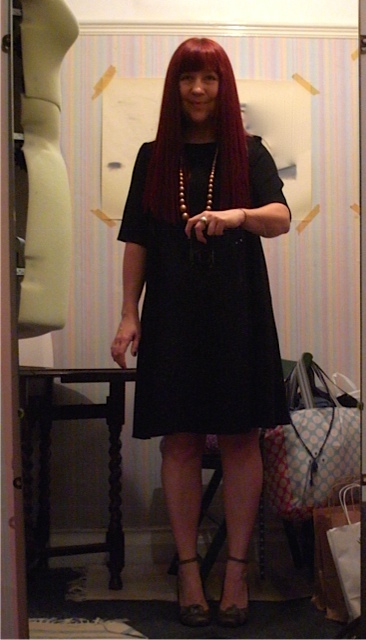 And a short sleeved dress. I’ve most certainly had good milage from that pattern. 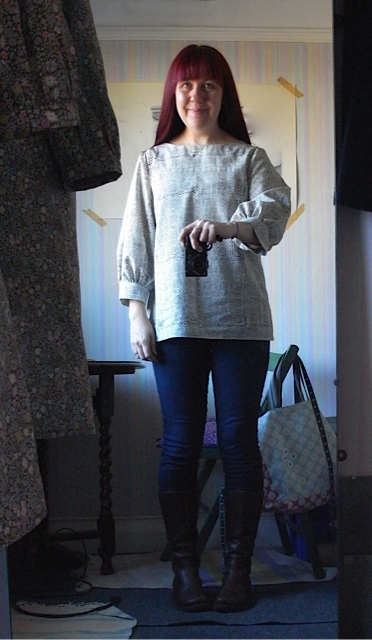 After making the first two long sleeved tops, I can’t quite believe what I did next. 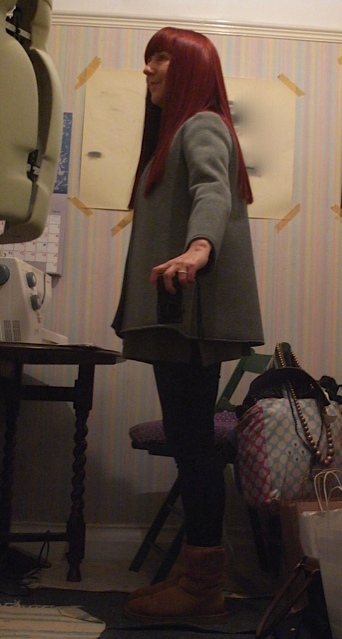 I made a bloody coat! 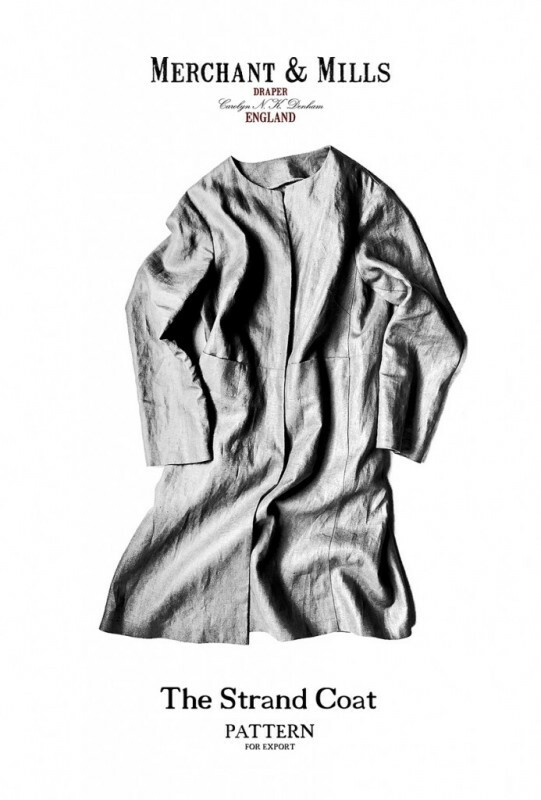 Where the hell did I get the idea that I could make a coat? 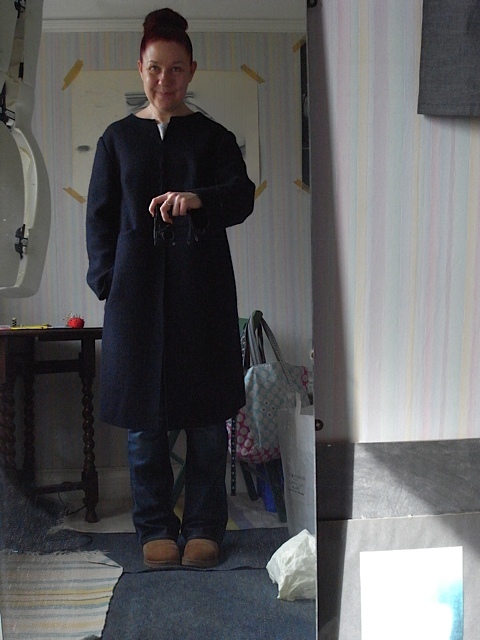 Oh yeah, I can do sleeves now… Luckily for me I spoke to the lovely Michelle in Merchant and Mills about the Strand coat and she gave me the idea to make it in boiled wool. 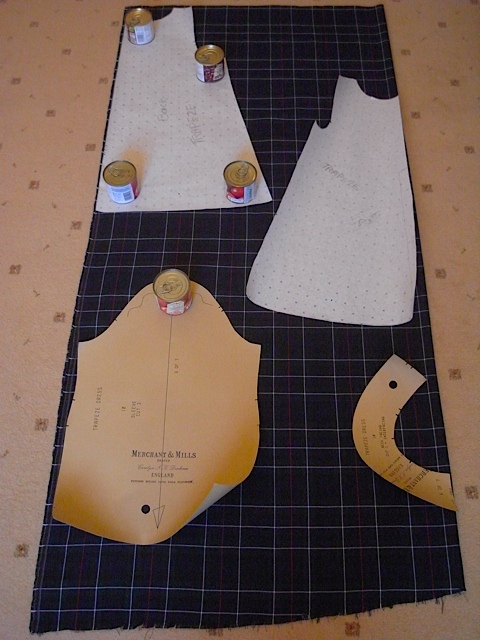 You don’t need to do facings, hems or finish the seams as it doesn’t fray. This made it a whole lot easier. Don’t be fooled though it still had its challenges. 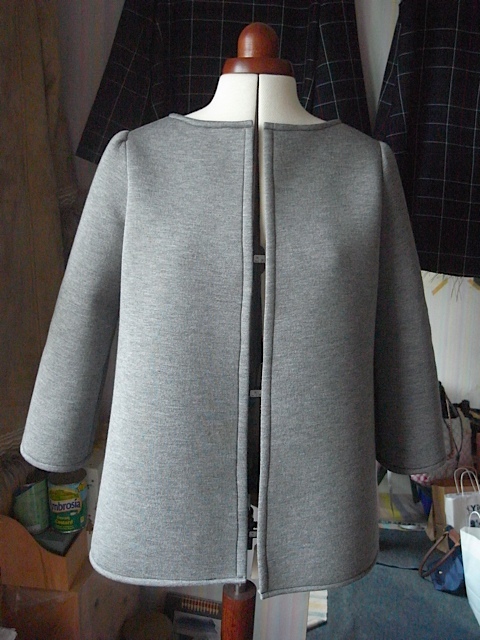 I learnt how to do tailors tacks and pockets, I love the pockets on this coat and am particularly proud of them. 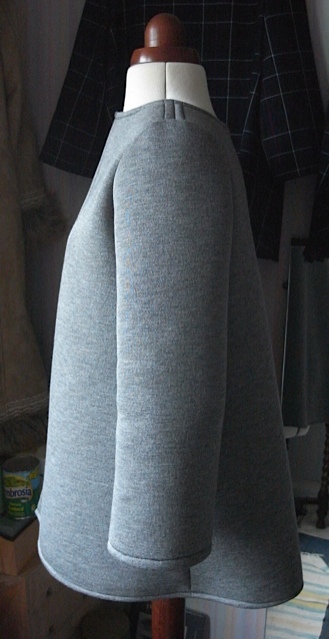 The lovely Strand coat pattern. 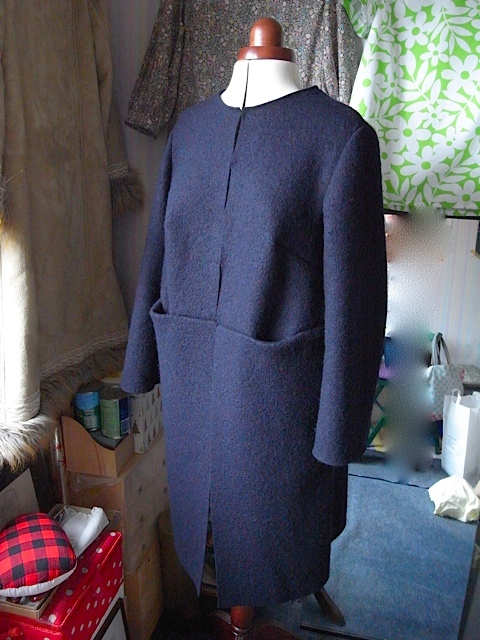 A beautiful wearable coat, made by ME! I think for me the coat has been a major highlight and achievement. I sort of peaked early on in the year. 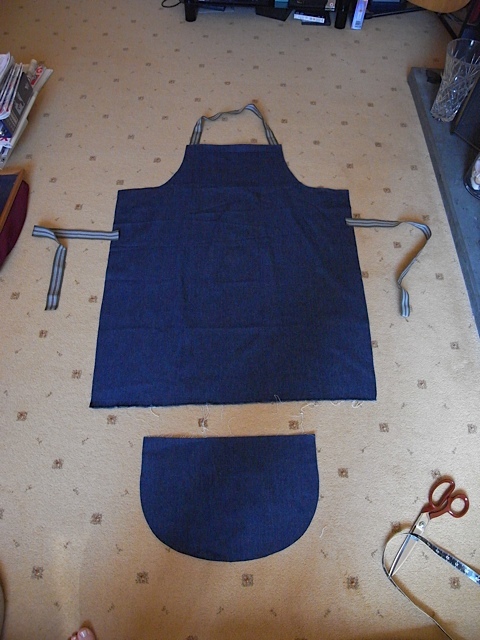 The next thing I made of which I’m very proud was an apron, I love this apron so much. Makes me happy every time I wear it. Which is a lot. Particularly happy with the curves on it. 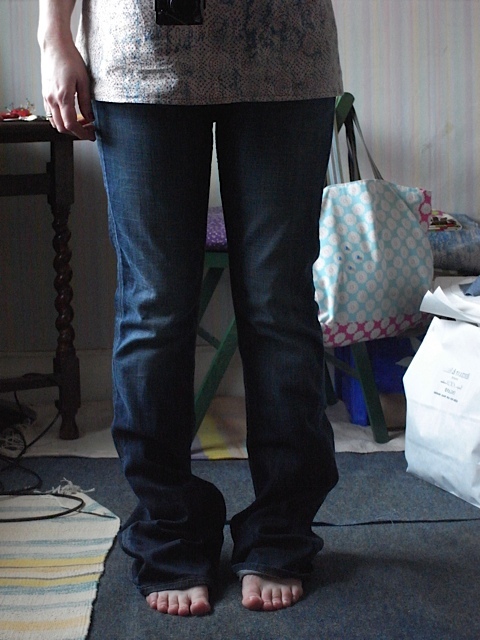 I shortened jeans for the first time, which also made me very happy. 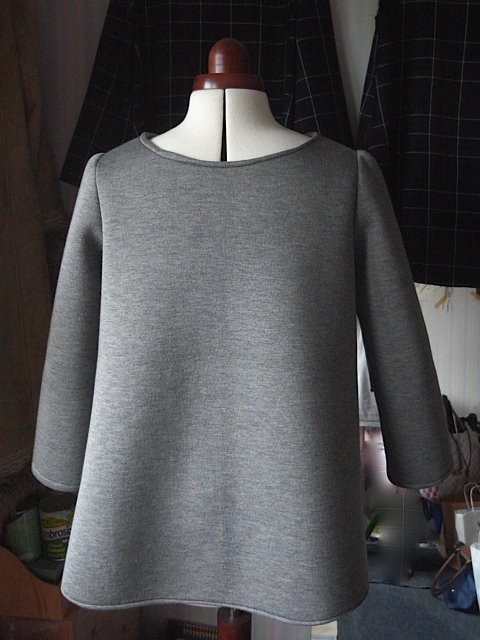 I discovered I don’t like working with jersey when its more complicated than a simple rectangle top, but do love the finished product. 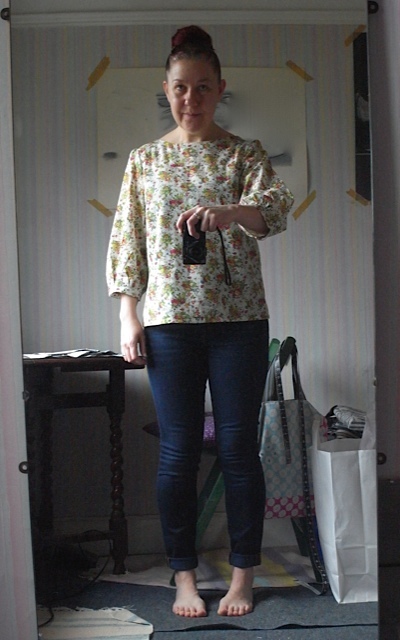 A top made with a jersey viscose concoction. 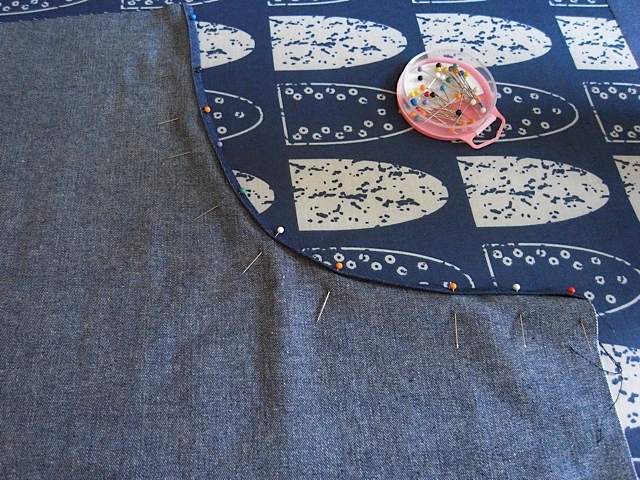 Nearly killed my love of sewing! 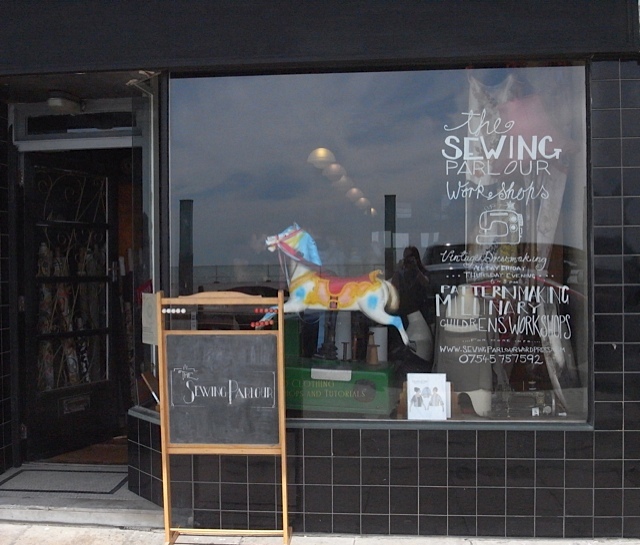 I met some very lovely sewing peeps at La La Rookh. 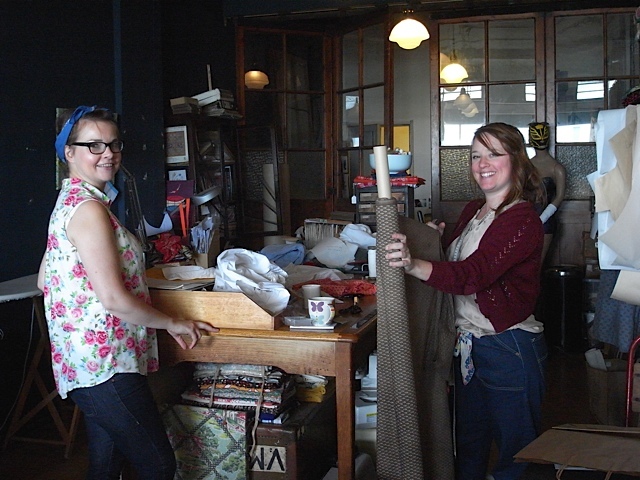 I also met up with the lovely Ruth from poppyinstitches. I went on holiday to Barcelona for ten days and wore something I made every day. 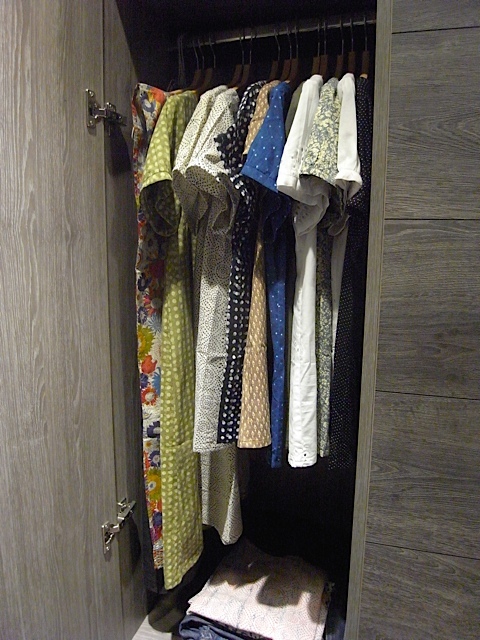 Holiday wardrobe, full of my handmade goodies. 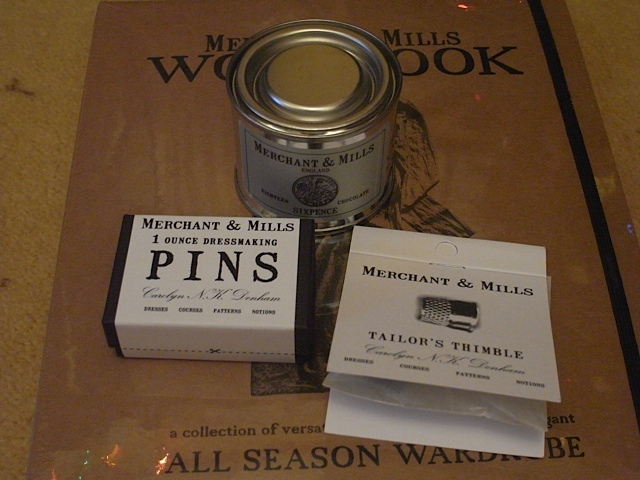 I bought some new patterns, of which I’ve only tried the Merchant and Mills Top 64 so far. And hated it. Think I made it well just hate the top. In cotton canvas, bit different but I love it. 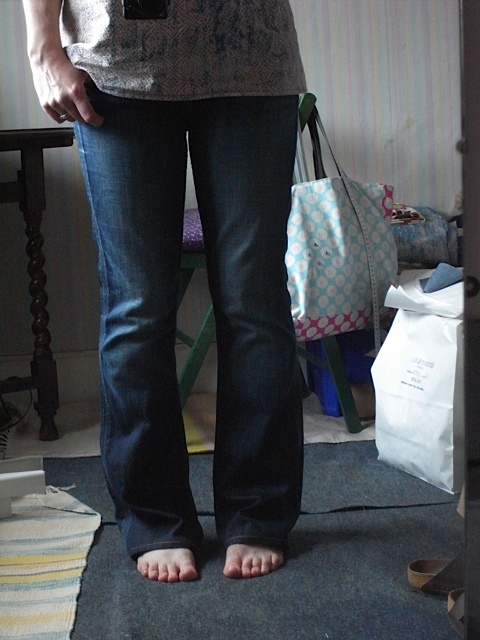 Then in denim. Again love this, have worn it quite a lot already. In party dress form. Sorry for the bad lighting. And that was actually my last make of 2015. 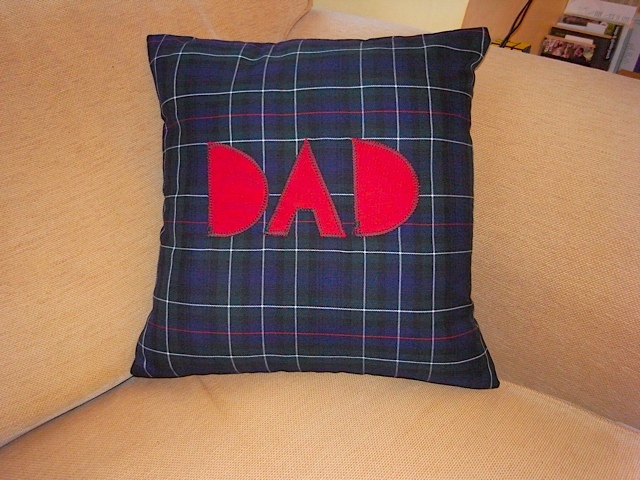 But I don’t want to forget that I did appliqué for the first time too. And thats about it. 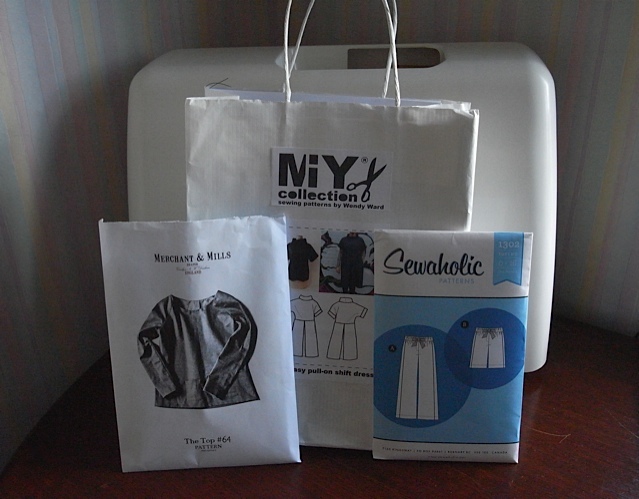 I’ve been quite lucky in that most of my sewing projects have been a success this year. I just hope it will continue into the New Year. 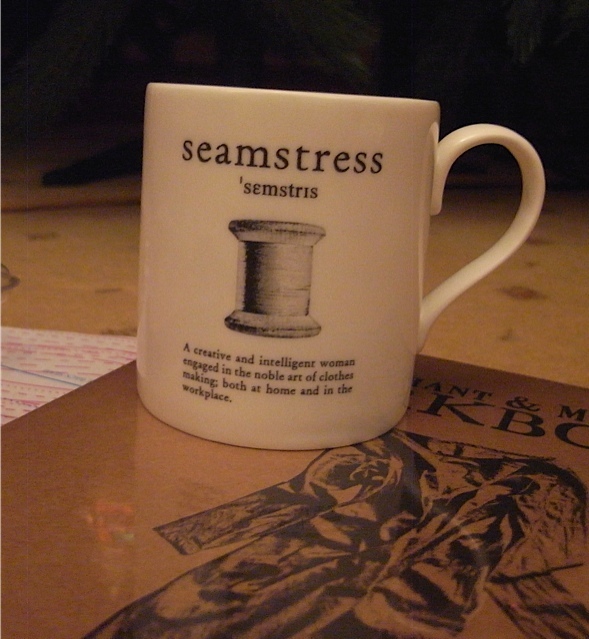 I got lots of lovely sewing goodies for Christmas so have many new projects to try. Fingers crossed all goes according to plan! My blogging might slow down a bit in the new year as I tackle new things that might take me a little longer to complete. I wish I had the nerve to stop and take pics as I sew, so I could blog about the different processes of a make, but I’m either in the zone and forget to stop or I don’t want to jinx it by blogging about it too soon. But we’ll see.